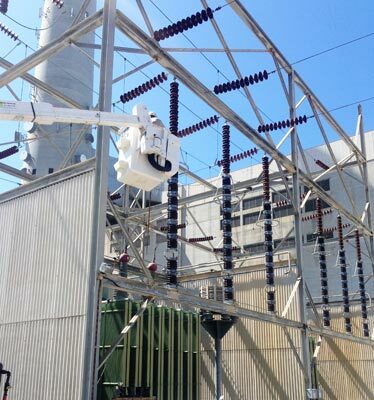 ESM, Inc., can safely clean insulators while “ENERGIZED” or “DE-ENERGIZED” by use of our proper cleaning procedures. However, we specialize in “ENERGIZED” cleaning of porcelain and polymer insulators. 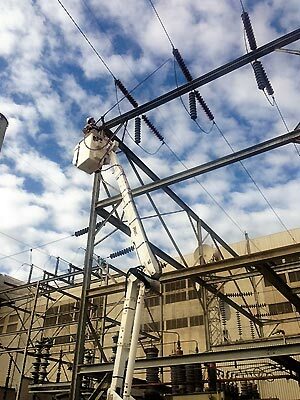 Energized Substation Maintenance Incorporated uses compressed air with dry non-abrasive cleaning media. ESM, Inc., provides all labor, materials and equipment to perform “dry cleaning” on insulators, bushings and arrestors. Safety gear will be used as indicated by industry standards, hotwork guidelines, and plant regulations. Safety equipment will be appropriate for each specific task being performed.